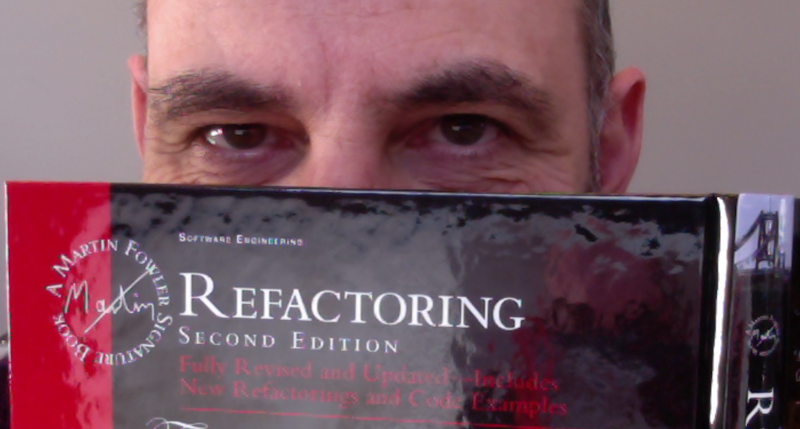 For the past two years, I've been working on a second edition of my book "Refactoring". Here I have details about the new edition and some memos describing my thoughts in the last months of this project. The book is now available and you can buy it from informit (the web presence of the publisher), Amazon , or your favorite book seller. Purchasing the book gives you access to the canonical web edition - which contains additional material that's not in the physical or ebook versions. It may take a while for the book to work its way through the various distribution channels. In particular it tends to be slow getting to other countries and international availability of electronic formats can get complicated, as it's tied into book distribution agreements in various countries. If you're having difficulty getting a copy, your best bet is to contact informit, as my publisher knows much more than me about the complications of book distribution. I was lucky enough to work with Kent Beck on the C3 project that birthed Extreme Programming. There was a great deal I learned (and am still learning) from Kent, but one thing that really stood out was the approach he took to continually reworking the code base to keep it healthy, an approach that went under the then-unknown name of "Refactoring". In my other consulting work I stressed how valuable a technique this is, but couldn't point people to a book to learn about it, so I ended up writing it myself. It was published just before the 20th Century ended. That's nearly twenty years ago, and the technique is now more widely known, although often not executed as well as it should be. The book has also held up pretty well, and I think you can take this old book and still learn how to refactor pretty much as well as you could all those years ago. But the book shows its age, with wrinkles like the use of java.util.Vector. So over the years I've been thinking about revising it, but I have also been reluctant. After all it still teaches the technique perfectly well, and second editions have a horrible habit of not improving on the original. But a further force has been tugging at me. At the time I wrote it, it was becoming mainstream to consider classes as the dominant structuring the mechanism for code. These days, however, we see other structures playing a greater role. Classes still are valuable, in my view, but our refactoring needs to be less centered around them, realizing that they can come and go as code is trained into new shapes. During 2015 and early 2016 I wrote a series of essays exploring various circumstances for refactoring, this helped me get a feel for if I should tackle a rewrite, and if so, how. By mid 2016 I was ready to commence the work in anger. 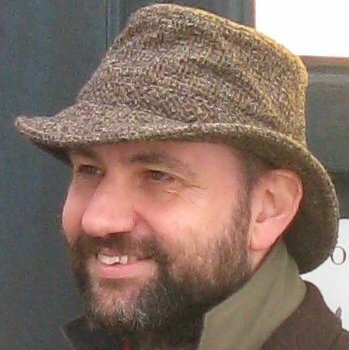 If you've been wondering why I haven't been writing as much for martinfowler.com as I used to, it was because my writing energy has been focused on the book since then. Despite this lack of change in the overall book structure, the changes to the words on pages is huge. Every chapter and refactoring has been rewritten, mostly from near scratch. I rarely had decent opportunities to cut and paste text from the old edition. The reorientation towards a less class-centered view is a large part of this. Although that may sound as simple as changing the name of "Extract Method" to "Extract Function", it did entail rethinking all aspects of every refactoring. I needed to reconsider the motivation, often feeling that it needed to be reframed. The mechanics needed at least a detailed review, often a complete rewrite. I wasn't keeping detailed notes on this, but my feel is that for every relatively simple import of an old refactoring, there were two that required a complete rethink. However there is another change, which in a way isn't that important, but is bound to get a lot of attention. The examples are no longer in Java. When I choose a language for examples in my writing, I think primarily of the reader. I ask "what language will help the most readers understand the concepts in the book?" Refactoring isn't a language specific book, its advice may have been explained with the help of examples in Java, but the refactorings apply to most languages. I picked Java because I felt the most people would be able to understand the code examples if they were written in Java. That was the case in 1997, but how about in 2017? The world-wide web has made an enourmous impact on our society, particularly affecting how we gather information. When I wrote the first edition, most of the knowledge about software development was transferred through print. Now I gather most of my information online. This has presented a challenge for authors like myself, is there still a role for books, and what should they look like? I believe there still is role for books like this, but they need to change. The value of a book is a large body of knowledge, put together in a cohesive fashion. In writing this book I need to gather together lots of refactorings, and organize them in a consistent and integrated manner. But that integrated whole is an abstract literary work that, while traditionally represented by a paper book, need not be in the future. Most of the book industry still sees the paper book as the primary representation, and while we've enthusiastically adopted ebooks, these are just electronic representations of an original work based on the notion of a paper book. With this book, I'm exploring a different approach. I think of the canonical form of this book as the web site. The paper book is a selection of material from the web site, arranged in a manner that makes sense for print. It doesn't attempt to include all the refactorings in the canonical book, particularly since I may well add more refactorings to the canonical web book in the future. Our intention is that when you buy a copy of Refactoring, 2nd Ed, you might buy it at a bookstore in its physical form, or online in any form. The most essential thing you get for your money is permanent access to the web site. You can read the physical book, and access the web site whenever you need. This raises a question of what role ebooks (such as epubs and kindle books) should play. There is a strong argument that they should contain all the information on the web site, after all physical size isn't a factor, and ebooks can be updated easily if I add new material. However the book industry doesn't think that way, they expect ebooks to have the same content as the physical books, so the ebook versions of refactoring will follow that principle, at least for now. One of the things I want to stress about this edition, is that it doesn’t cover more scope than the existing book. There is somewhat of a shift away from a purely class-based structure but my aim has been not to change the scope of the book too much. While there’s a lot of appealing territory I could explore, I have a limited amount of time and energy. So I followed a rule of not letting the second edition venture into new topic areas. Even with just trying to do no more than replicate what’s in the first edition, it’s still two years of solid work. I didn’t want to increase the amount of time I’m spending on this, after all the first edition is very successful, so my aim is to maintain its usefulness, not to try and create something new. There’s a good chance that in the future, I will explore some new topics, and add to the corpus of refactorings on the web site. Of course, I thought that before with the first edition, but mostly didn’t, so take that thought with an appropriate amount of salt. But I did explore some essays on using refactoring to help explore various architectural problems in 2015 and early 2016. I enjoyed writing them, and they indicated a vehicle I could easily use more in the future. I’ve spent the last few days (yes, including the weekend) working through review comments on the book. Early in February my editor at Pearson sent out the current state of the book to various people for a technical review. This is a vital part of the process for writing a book, any author will make mistakes, and I make plenty. Reviewers help catch those, and also highlight things that are not clearly explained. This isn’t the first review for this book material. When I started the book I gathered together a panel of people to do on-going review. Every time I finished a chapter, or a couple of refactorings, I’d send it to them for comments. Their feedback has helped enormously. But at some point I need someone to step back and take a fresh look at the whole book, which is where these recent reviewers have come in. Currently I’m going through comments from four such reviewers: William Chargin, Michael Hunger, Bob Martin, and Bill Wake (who was also part of my on-going review group). I like to do this on a chapter by chapter basis, take the first chapter, look at everyone’s comments, and process them all on the chapter. “Processing” means reading each comment, and deciding what to do about it. Each comment is a perspective from the reviewer, some might indicate a suggested change, perhaps an expression that something isn’t clear, perhaps an error in the code. Often I don’t do anything in reaction to the comment, I might disagree with someone’s suggestion, perhaps because I feel it’s out of scope for the book. Michael (who has reviewed previous books for me) feeds me lots of good suggestions for additional material that would take years to follow up on, so I have to let most of those go by. But I don’t mind because sometimes those suggestions are things that really need to be there, and I’m glad I had someone prod me to include them. Errors are the obvious things to fix, and I’m regularly astonished when reviewers find subtle code errors. I avoid many of those by my automated code import system, but there are holes in the auto-import, and they’ve already saved me some embarrassing mistakes. Michael is particularly good at this, he must have installed several compilers into his wetware, which is one reason why I find him such a good reviewer. William Chargin is challenging him however, so I feel doubly blessed. Clarifications are often the hardest to figure out. Sometimes a reviewer just says “I don’t understand this”, sometimes it’s more indirect - they suggest something that implies they didn’t understand what I was saying. Dealing with these is hard because I then have to judge whether it’s just a one-off thing, or something deeper. People will always have difficulties with bits of a book, trying to fix every individual difficulty would be cure worse than the disease - the book would have to be much bigger, and the prose would get so stilted that it would be tedious to read. It helps when more than one reviewer has the same difficulty, then I can be confident it’s something I need to fix. An example of this was the way I laid out nested functions in the opening example confused three of the panel, so I knew I had to try a different approach. I always rather enjoy working through review comments. It’s good to get some feedback on whether what I’m doing is making sense. This stage is particularly good as it forces me to step back too. For nearly two years I’ve been down in the details, cranking chapter by chapter. Now I can look at the material as a whole, yet still dive down to sort out important details. When I wrote the first edition of Refactoring, it went into the Object Technology Series at Addison Wesley. I never took book series very seriously, so I just followed my editor’s suggestion. Since then I’ve formed my own series (the “signature series”), and put a fair amount of effort into curating it so it only contains books I can firmly recommend. So it’s natural for the book to move into my own series. It isn’t, however, an inevitable decision. The series isn’t a catch all, it’s about books that I consider to be foundation books on the technical side of programming. I submitted my most recent book, NoSQL Distilled, for the series, but I rejected it - because I didn’t think it fit in with the flavor of the series. That sounds rather convoluted, but there is a process here. Every candidate book submitted to the series is sent to all the authors in the series, and I ask for their opinion. In that case, they helped me decide to reject myself. This time they felt it was an easy inclusion, which reinforced my feeling that it was a good fit. As I said in an earlier memo, I’m enjoying going through review comments. However I’m about to put this work on a long pause. I have travel commitments coming up that means that today is the last day I’ll get at my desk for five weeks. While I can technically do some writing work while I’m on the road, I’ll mostly be too busy with other things to put any serious energy into it. (And there is some vacation in there, which I hope will help rejuvenate me a bit.) It’s a frustrating break, since I’d really like to get the text of the book settled so to better concentrate on other things. I’d hoped to have all the review comments processed and dealt with by now, but plans in writing are little better than plans in software development (for much the same reasons). This week was the week I finally got back to my desk in New England after five weeks on the road. It was a long time away, but I can’t complain too much since the last couple of weeks were an excellent vacation in Croatia. Highlights were Split, Dubrovnik, the Paklenica national park, and especially the Plitvice Lakes. I had hoped to have finished the text before I went away, but there were still some review comments that needed work. I also got a final batch of comments just before I left. So this week I made my first pass through that final batch and now just have the outstanding todos from the reviews. The bad news is that all these todos take a bit of effort to fix, since they became todos since I couldn’t quickly fix them while going through the comments. The good news is that I only have fourteen of them. I will hopefully get through them over the next two weeks before I have to hit the road again. Another topic on the book this week was starting to think about the cover. The core cover design is already settled, as it will be part of my signature series, but it does mean I have to pick a photo of a bridge. We’re in the middle of sorting that out now, hopefully I’ll be able to share that next week. As with last week, this week has seen me working on review comments so I can finalize the technical content of the book before starting the production process. I went through all the comments last week, doing all the easy ones that I could deal with in less than an hour or so. That left the complicated ones, which are pretty stressful to be working on at this late stage in the game, with a (admittedly, somewhat self-imposed) deadline staring at me. At the heart of my work this week is reworking two examples. Both were ones where a couple of reviewers found difficult to follow, so I needed to figure out something that I think will be easier. This isn’t just about changing the prose text, it’s also about reworking the code. I find code examples to be one of the most difficult aspects of my writing. I try to create examples that are just complicated enough to show the main point, but no more complicated that that. They are still artificially simplistic - any realistic example is just too much for most readers to get their head around - but I want them to resonate with readers’ day-to-day experience. Today I spent most of the day coming up with an example that’s about fifty lines of code. I think it captures what I’m trying to say, but I’ll learn more as I carry out the refactoring I’m illustrating on this code and see how my prose works with it. I’m optimistic that it will work, but there’s still a fair bit of uncertainty. The earlier example was particularly tricky as it was a section of a larger refactoring example, the future opening example of the book. This example divides into three phases, and reviewers indicated problems with the middle phase. I reworked the sequence of the refactorings, and hopefully things are much clearer now. Interestingly this refactoring centers around a refactoring (Split Phase) that I hadn’t written up before my first draft of the opening example. The essence of the change was to follow the now-written mechanics of this new refactoring, and I was happy to see that following these mechanics seemed to make it a good bit easier to do and understand. The mechanics sections in my book aren’t the only mechanics for a refactoring, and they can’t be the best for all contexts. My aim is that they should work pretty well, most of the time. So I was pleased that following them helped me through this example. Reworking refactoring examples like this make me very familiar with git. I like to keep all my code examples “live”, so that I can change the code, run tests to ensure it still works, and mark sections of it to automatically flow into the book text. I’ve done this for many years with code examples, and it’s made life much easier. But doing this is tricky with refactoring, since I have a sequence of changes to the code. To cope with this I store the refactoring sequence in a git repository (necessarily a separate repo to the one that stores the book’s text) and capture the refactoring as a sequence of commits. I then import the code into the book text with tags that indicate the ref of the commit, and the name of the code fragment. When reworking a sequence of refactorings like this, I do a lot of cherry picking, where I make a change to commit master~7, then cherry pick all the refactoring changes I did since onto the changed commit. It’s awesome when it works well, and even when it doesn’t it’s far better than what I had to do with the first edition of the book. I have one more week at my desk before I’d like to declare “done”. The target still seems plausible, although much will depend on how the fifty lines I wrote today works as I write about the refactoring steps that go with it. As May ended, I hit an important milestone, referred to by my publisher as “release to production”. In the days of traditional publishing, this means that the author hands her manuscript over to the production team. At this point we expect no significant changes to the core material of the book. There will be changes: as the book goes into copy-edit, as well as things like indexing - but they won’t be material changes to the essence of the book. In my early books, I’d send electronic files over to Pearson, and at some later point I’d get a big print out of changes marked up by the copy-editor. Other than going through these changes, checking to see if I agreed with them or not, I’d have little more to do with the book before it appeared on the shelves. These days, the process is rather more interactive, the copy-editor and I will share a git repository and I’ll be looking at diffs to see his suggested changes. But the sense of crossing an important bridge is still there. I won’t be reworking any more examples, or adding any significant material. At some level, the book is done. (Although, since this is a web-first book, I intend to continue to evolve its web representation). I have a sense of relief, although there is still much to be done with the book, this is still a big milestone, a sign that my focus on the book will begin to wane. I don’t have too much relief, because I have to go to Madrid next week for a couple of talks, and speaking trips are less appealing to me than a trip to the dentist. But it is some weight taken from my mind. When we started doing the signature series, the cover designer laid out the basic design which included space for a different photograph with each book. I decided that these photographs should follow a theme for all the books in the series. At that time my wife, a structural engineer, was designing bridges; she has since moved from horizontals (bridges and tunnels) to verticals (buildings). Her involvement in bridges inspired me to use them as a common theme for the book. So whenever an author writes a book in my signature series, I ask them to choose a bridge to adorn the cover. Ideally the bridge should have some personal connection for them. For my first book in the series (Patterns of Enterprise Application Architecture), I picked the Zakim bridge in Boston. The link was pretty clear - they built the bridge just down the road, during the same years that I wrote the book. For my second series book (Domain-Specific Languages), I picked the Iron Bridge - this was a connection to the Black Country where I grew up, as well as a historically important bridge. So what to choose for the Refactoring book? One thought that occurred to me was if I could draw some kind of analogy between refactoring and bridge engineering - but discussion with the bridge engineers I know made it clear that there’s nothing in bridge engineering that is comparable to refactoring. So instead my mind turned to a non-professional association. In this case I started thinking about one of my favorite places that I’d visited many times in the two-plus decades I’ve lived in New England - Acadia National Park. This immediately suggested picking one of the many attractive bridges that are on the carriage roads. But I also thought of another Acadia-tinged possibility. On the road to Acadia we cross the Penobscot River. At the time that I wrote the first refactoring book, the road crossed the Penobscot using Waldo-Hancock Bridge, a suspension bridge designed by the notable bridge engineer David Steinman. In the first years of the new century, however, they found that the 70 year-old bridge needed to be replaced, and by 2007 the road went over the new Penobscot Narrows Bridge. Although there aren’t any analogies I can draw between bridge engineering and refactoring, I can push myself to summon up creative analogies between the two editions of the refactoring book and these two bridges. Although various twitterers have commented that the second edition of the refactoring book “refactors” the first edition, that isn’t true. (Indeed, as with bridge engineering, I don’t think there is any analogy from refactoring to book writing.) 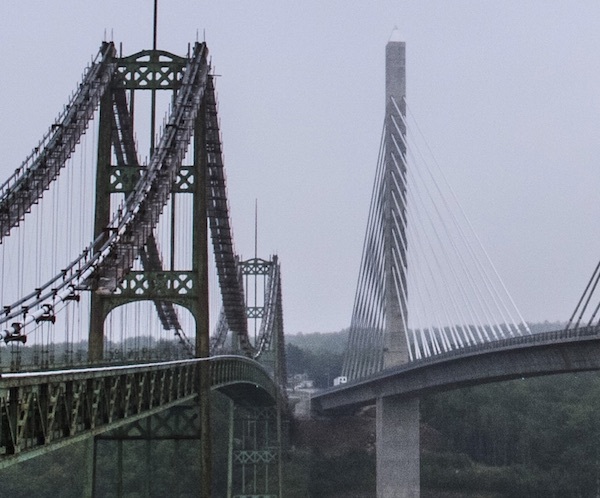 This second edition is a replacement to the old one, in the same way that the Penobscot Narrows bridge replaces the Waldo-Hancock. The Waldo-Hancock demonstrated innovative techniques that reduced the cost of bridge building, in the same way that the refactoring book described a new technique that reduces the cost of building software systems. The first edition of the book is replaced by a new edition within my signature series, and the new Penobscot Narrows bridge is a similar design to the Zakim bridge that was the cover bridge for the first book in that signature series. When building software, its important to think about the software from your user’s perspective. So we have the notion of creating personas and use these personas to help guide the features and user-experience of the software systems. Similarly with books, it’s important for me to think of my readers and have some notion of the personas that should guide my writing. The most obvious persona for a piece of writing is the student reader - he has little or no knowledge of the topic in the book, and is reading the book to learn the material. This is my primary persona, and I try my best to understand what is in this reader’s mind and how best to convey information to him. But there is a second persona that’s also important - the teacher. This persona already knows most, if not all the material in the book. She uses the book to help guide more junior developers. Essentially the book is tool for her to help her task of improving her team’s skills. Sometimes she may use the book directly, saying to a junior that he needs to change a particular class to a value object and thus use the Change Reference to Value refactoring. At a higher level she might focus on a smell. One technique I’ve heard is of a team lead to designate a “smell of the week” and get the team to identify and fix examples of that smell. This both improves the code and teaches the developers how to spot and fix similar problems in the future. Even if the book isn’t used directly, I hope it is still handy in an indirect form. A senior developer may have the knowledge of refactoring, but that doesn’t mean that she knows how to teach it. Teaching a topic is a skill in its own right, somewhat independent from knowledge of a topic or skill in carrying out a task. I’ve often come across gifted practitioners who were not very good at teaching others what they do. A good book can be helpful in showing such leaders how to explain a topic. The mechanics section for Change Reference to Value isn’t the only way to carry out the refactoring, but following those steps can make it easier for a skillful colleague to show someone new how to do it. An interesting consequence of the second edition like this is that most of the people who are excited about the book are teacher-readers not student-readers. Teachers might well have been student-readers with the first edition many years ago. If you’re such a reader, remember this book won’t teach you anything new about refactoring. If it teaches you anything, it is how to teach it to those you are leading. When you evaluate if this book is useful to you, it’s not for what you can learn from it, but how it can help you accelerate the learning of those around you. All the technical book authors I know mention the big debt they have to technical reviewers. We’ve all written works with big flaws that were caught by our peers acting as reviewers. I don’t do a lot of technical review work, partly because I don’t think I’m very good at it, and thus have a lot of admiration for those who take it on. There’s not even a pittance to be made by reviewing someone else’s book, so doing it as a great act of generosity. When I started serious work on the book, I formed a mailing list of advisors to give me feedback. As I made progress, I sent drafts of new material to this group and asked them for their feedback. I want to thank the following for posting such feedback on the mailing list: Arlo Belshee, Avdi Grimm, Beth Anders-Beck, Bill Wake, Brian Guthrie, Brian Marick, Chad Wathington, Dave Farley, David Rice, Don Roberts, Fred George, Giles Alexander, Greg Doench, Hugo Corbucci, Ivan Moore, James Shore, Jay Fields, Jessica Kerr, Joshua Kerievsky, Kevlin Henney, Luciano Ramalho, Marcos Brizeno, Michael Feathers, Patrick Kua, Pete Hodgson, Rebecca Parsons, and Trisha Gee. Once I had a pretty complete first draft, I sent it out for further review, because I wanted to have some fresh eyes look at the draft as a whole. William Chargin and Michael Hunger both delivered incredibly detailed review comments. I also got many useful comments from Bob Martin and Scott Davis. Bill Wake added to his contributions on the mailing list by doing a full review of the first draft. I found the combination of incremental review by the mailing list and final full review to work really well. Leaving all the review to the end (as was the case with my earlier books, including the first edition) results in me getting useful comments too late. I was able to take early comments on board and react to them as I continued with the book. The final review was still helpful because it’s easy for incremental reviewers to lose the overall context of the book - indeed it’s easy for me to lose that context when in the depths of working on it. Having fresh eyes look at the whole can make a big difference. I’ve just finished reviewing the copyedits for Refactoring. This is the stage where my flawless prose is sent to someone who checks to see if it’s as wonderful as I imagine, and sends back a list of corrections. In my case a rather large list. Authors react in a wide range of ways to the copyedit process. Some authors go into a rage if a single character of their immaculate text is changed. Other authors are so sick of the manuscript that they wave all the changes through. I tend to the latter, but still review every change - mostly to ensure the copyeditor hasn’t inadvertently changed the meaning of the text, a real danger with such a technical book. Authors vary with their reaction to copyeditors, but different copyeditors do varied jobs too. I appreciated the first decent copyeditor I worked with because she believed that it was crucial that she should preserve the author’s voice as much as possible. My main memory from her work was adding lots of commas - unsurprisingly I don’t tend to put them in unless I feel I really need to. Sadly I couldn’t use her for my books because she’s British, and American publishers didn’t think a Brit could possibly copyedit to American standards. Dmitry has been my copyeditor for my last two books and I enjoy his work too. Although many of his changes make me shrug, many of them are distinct improvements to my wording (including one in this sentence). And sometimes he pops in a change that sounds more like me than I do, which is creepy and wonderful at the same time. This site isn’t copyedited - you get my raw text. I haven’t seen many complaints about it, so I’ve been happy to get away with the convenience of skipping a copyedit stage. Of all the changes I’m making for the second edition, perhaps the most significant is that I’m writing it as a web-first book. By this I mean that that the canonical representation of the book is one that lives on a web site, overriding other representations of the book, such as those printed on paper. Pearson is setting things up so that when you get a physical book, you get the ability to register it with Pearson and gain access to the web version of that book. As a secondary representation of the book, the paper version will have less content. Furthermore I hope to add more material to the web version of the book in the future, and of course the paper version cannot be updated. A couple of weeks ago I had to make the decision of what would appear in the paper book, and what would be only present in the web edition. One constraint I set for myself is that the second edition of the book wouldn’t be larger than previous editions. (This also a rule I set for myself with UML Distilled.) I did this because I’ve found that second editions have a danger to bloat. I can see why - after all an author learns more about a subject and wants to put all the new stuff in - but a bigger book isn’t usually a better book. Since Refactoring follows a duplex form, and is mostly a reference catalog, increasing the size shouldn’t be such a big problem, but I still distrust a big, physical book - so I’ve kept the constraint. The first edition clocks in at 412 pages (not including the references and index), so I set that as my target. We did an initial page proof and the new book had 440 pages, so I needed to cut at least 28 pages to meet my self-imposed limit. As I started figuring out where to make the cut I was pretty worried about the choice, but I’m relieved to say it worked out easier than I had feared. I realize that a few readers might be wondering, what are those five refactoring victims? I’ll name names later - so far I haven’t talked about what refactorings are in the second edition, nor about the fate of all the first edition refactorings. I’ll get to all of that in a later memo. This last two weeks has been very busy, as I’ve had to scramble to get a couple of tasks done for the book production. I was hoping to wind down on work on this book soon, but now I’m accepting that there’s still a lot to do, partly in preparation for the web edition. I’ll talk about all that more in later memos too. During the last couple of weeks, my work on the refactoring book has focused on tidying up various loose ends for the print book. We’re now at the point where the production work is now in the hands of Alina Kirsanova, who sorts out the composition of the book, together with proof reading. Composing a book means paying attention to the look of each page, and various problems crop up around pagination. When I’m writing, I don’t worry much about page breaks. Most of my published writing these days goes on the web, so I don’t have to think about physical pages. But with a book, physical pages are important. An example problem area is code examples. I don’t want page breaks at the wrong place in a code example, ideally I’d like my carefully written small functions to not run over page breaks. So Alina looks at each page, ensuring the page breaks occur in the right places. To support that, I need to tweak my automatic import of code examples so she can make insert a page break when she needs to. Line lengths are also something she pays attention to. As I look at my source files, I now see new XML tags: such as <dk:nobr>clarity</dk:no-br> to indicate text that we don’t want split over two lines. This is one of the advantages of using XML rather than markdown as my source text - it’s easy for Alina to add new markup for the text that my toolchain can pass through to hers. I’ve also prepared reference pages: filling out the bibliography, and generating the list of refactorings and smells tables for the inside covers. Next I have to go through the final proofs of the pages, and dealing with some composition questions that Alina has. Many authors prefer to hand over their manuscript and leave it at that - an approach I’m certainly sympathizing with right now. But one of the advantages of participating in this is that I get to appreciate the careful work of book composition. People with a subscription to the Safari online books service can now get hold of a rough cut of the second edition. This had been through copy-edit, but not proof reading or final composition. When I’m close to releasing a new book, my feelings are usually a mix of excitement and dread. Excitement because I’m releasing into the world something I’ve spent months or years working on, and I want to see how people respond to it. Dread because I’m releasing into the world something I’ve spent months or years working on, and I worry about how people respond to it. Will people like it or not? Will all that work be worthwhile or not? With this second edition my feeling is more one of acceptance that most people will be disappointed. It’s not that I don’t think I’ve done good work here. Like with any of my writing projects, I’ve put a lot of effort and energy into this. I think the result is a worthy refresh of the book I’m most proud of writing. But even if that is the case, I expect a negative reaction to the book. That’s because people who are familiar with the first edition will naturally compare it to that first edition, and most people will find the new edition wanting - despite my view that I’ve improved it. People are familiar with the first edition, have got used to its flaws, and like elements in the original that I decided to change. We know that loss aversion means that people feel the loss of something twice as much as they appreciate a corresponding gain. So any improvements in the new edition have to be twice as good as any perceived faults in order for me to break even - that’s a hard target to achieve. On top of this, many people won’t compare this second edition to the first edition, they will compare it to what they imagine they would like in a second edition. Often those imaginations aren’t realistic - there’s plenty of ideas I’ve had that sounded good in my head, but didn’t work when I tried to write them down. Even sticking to the realistic ones, there are so many of them. In the end I have to pick one path, and even if I picked the most popular path, they diverge so much that it would still only match a small minority of the opinions that are out there. Given this inevitable disappointment, why did I bother to do a second edition? (I’ve asked myself this question many times in last couple of years.) The answer is that the true judgment on this new edition isn’t the immediate reaction in the few months after it’s released. Instead it’s whether it helps people learn about refactoring in five, ten, twenty years time. Most of the target audience for this edition don’t even know about the book yet, many haven’t yet written a program, most will never care about the first edition. The impact on those readers is the test for whether this effort was worthwhile. Sadly it will be many years before I can assess the value of my labors over the last couple of years. The files for the second edition were sent to the printers today. This completes all the work we needed to do on producing the print edition. My thanks again to Alina Kirsanova who composed the book, did proof reading (finding some particularly embarrassing errors), and did the index. Julie Nahil, from Pearson, has been the production editor on the book, coordinating all this production work. We expect printed books to appear in Pearson’s warehouse towards the end of October or early in November. They should go out into the retail channel shortly after that. But one hiccup may be the web edition. We don’t want the print edition to appear before we have the web edition sorted out, and I haven’t had as much time as I would like to sort that out. I’ve taken a couple of weeks vacation (hiking in Cornwall, some theater in London, games with friends, and some pleasantly extravagant food), and now have a couple of business trips over the next two weeks. I’ve now got most of the elements of the pipeline for the web edition sorted out, but won’t be able to start work on it properly until mid October. Hopefully it won’t take too long to come together, but as I haven’t done this before I don’t know what can go wrong. Other than it’s software, and we all now how easy that is to predict! On my last update, a few weeks ago, I mentioned that the book had gone to the printers, and presumably they are busily printing away. Since then my number one priority with the book is to finalize the web edition. Although all the writing is done, I still have to prepare the files and do the layout. I wasn’t able to start right away, as I had a couple of ThoughtWorks meetings to attend to: in Atlanta to decide the next radar, and a global management meeting in Beijing. But this week I’ve been back at my desk and able to work on the book again. The first task was to understand how the web edition gets published. Pearson has a web book viewer, which basically takes an epub folder and projects it through a simple web application. The good thing about this is that that most of the book is just web pages, which I’m familiar with generating (and indeed this is how I looked at the book for most of the time I was writing it). However I did have to sort out various things that were needed, including generating the appropriate epub manifest files and fixing things that are valid html in a web context but not in an epub context. Once the bare bones were in place, I needed to apply the right css, to do things like ensure that deleted code was correctly marked with strikethrough, generating table of contents and list of refactorings. There were some interesting complications, such as finding out the span class name I use to highlight code was used by the viewer for something else. But now I’m very close to done (my org mode checklist shows 9/13 tasks complete) so feel pretty happy that the web edition will be done next week shortly after I return from our “Paradigm Shift” conference in Toronto. That will mean that we’ll be able start selling the physical books soon after they come back from the printer. A quick update on the latest state of play for the book. The books have been printed and are on their way to Pearson’s warehouse. I’ve completed the files for the web edition, but we need to test them on Pearson’s infrastructure. Once those are done, we can release the book for people to buy. We hope to flip the switch on InformIT (Pearson’s web site) early next week. Amazon should follow shortly after that. Thanksgiving may add some delay, all those turkeys clog up the supply lines. But I’ll let everyone know more as I find out more. Over Thanksgiving, Refactoring was released on informit. You can now directly order physical and ebooks there. The physical books are en-route to Amazon, and they should start delivering them in the next week or so. The kindle edition from Amazon should appear at about that time. Other booksellers should receive their copies shortly. Books should gradually find their way out to international sellers, but I don’t have any visibility into how long that will take. I’ve been in Europe for the past couple of weeks, so missed my delivery of Refactoring when it arrived at the house. Now I’m back, I can finally see the real books. It’s still a thrill to see the physical books, even after all these years of being an author. That’s not the result of a drastic drop in page count, (the new one is 416 compared to 430 pages) just thinner paper. When I open it up, I’m then struck by that it’s in color. Obviously that’s not a surprise, but it’s still striking as it’s the first of my books to be printed in color. This is particularly useful for this book as it allows me to better highlight the changes that occur as part of refactorings.